Mouat West Physiotherapy provides physio services in the West End of Fremantle, carried out by Kieran Bell with 20 years of experience here and abroad as a physio. Located in the West End of Fremantle, Mouat West Physiotherapy is on Level 1, 4/14 Phillimore St, upstairs in the Hudson Chambers building and services additional surrounding areas such as Beaconsfield, East Fremantle, North Fremantle and South Fremantle. 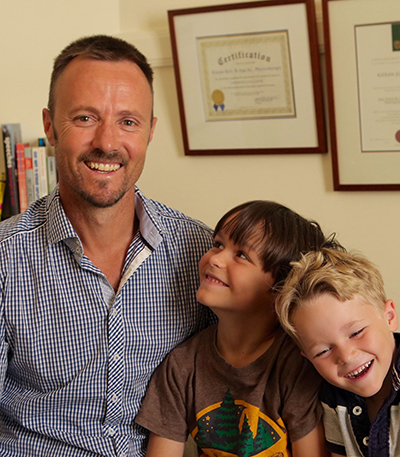 My name is Kieran Bell, I created Mouat West Physiotherapy to combine two extremely fulfilling aspects of life for me, living in the City of Fremantle and working closely with patients as a physio. I now have accrued over 20 years of experience as a physio, love being in business and am very passionate about providing great customer experience and helping people with any kind of physical discomfort. After several years working abroad and interstate then operating a fly-in-fly-out occupational health business for decade and a half, it is nice be set up working on my own as a physio a little closer to home in the West End of Fremantle, where things can slow down a little. I have always felt that Fremantle is a great place and having lived here for many years, I find it very rewarding to be working here too. © 2016 Mouat West Physiotherapy, All rights reserved.